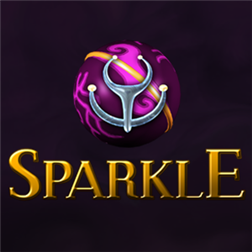 Popular mobile and web game Sparkle is now available on the Windows Phone Store. 3 game modes: Quest, Challenges, and Survival. Banish the Orbs of Darkness with your Orb Slinger by tapping where you want your orb to land. Match three same color orbs to make them disappear. Match more to earn amazing Powerups! Don’t let the Orbs of Darkness fall into the abyss! Written by: Hyde13 on February 14, 2013.